NEWSDESK: In the build up to the Sydney test, All Blacks coach Steve Hansen has his new-look leadership group working on big hits on the opposition coach rather than the tackle bags. 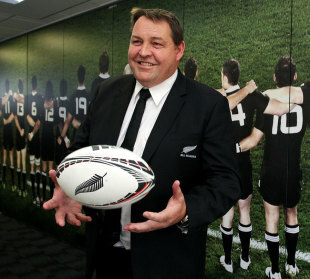 In the past, Hansen would work on lines in his suite with Richie McCaw and Conrad Smith before practising delivery on Ian Foster, but is confident the new approach will be as effective. Rumours that Aaron Cruden’s benching was related to nicking all his material from a late night Seinfeld episode were unconfirmed.